We have just completed entering a large selection of Picnic, Tailgate & BBQ Products sure to interest any man. 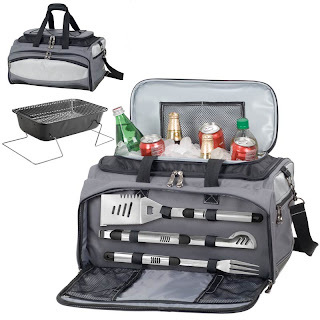 Whether he is into grilling in the parking lot prior to a big sports event (see picture above), picnicing with a loved one in a park, or barbecuing in the back yard for his family and friends, CoolStuffForDads.com is sure to offer a product he can use. Click here>> to check out these fine products.